SargesList, a free worldwide classifieds website, is proud to offer their 2014 Ultimate PCS Guide download for free! The guide features over 50 pages of Must-Have info to help you make your housing decisions, work up a budget, and much more. It even includes a PCS checklist to keep you organized and focused! 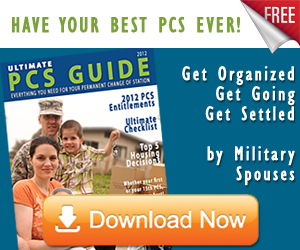 The Ultimate PCS Guide was developed by military spouses with years of experience in the military. SargesList serves all Active Duty Military Branches, Reservists, Guard, Coasties, Retirees, DoD Civilians and their surrounding military communities. Their online classisfieds site allows users to post free ads looking to buy or sell items, with the option to purchase ad enhancements for a small fee. The site serves all military bases, so it can be particularly useful for those customers that are in the process of transitioning to a new duty station.